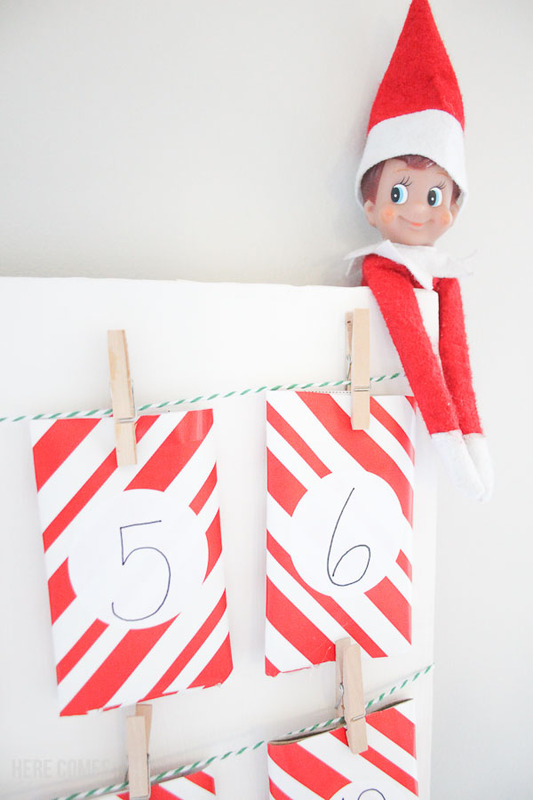 This DIY advent calendar is easy to make and so much fun for the kids. Most years, it is November 30 before I get around to thinking about making a kids advent calendar. Actually, it’s more like December 1 and I realize that I completely forgot and I try to throw one together that does not look good. But this year was not that year. I planned early and I have my DIY advent calendar ready to go. 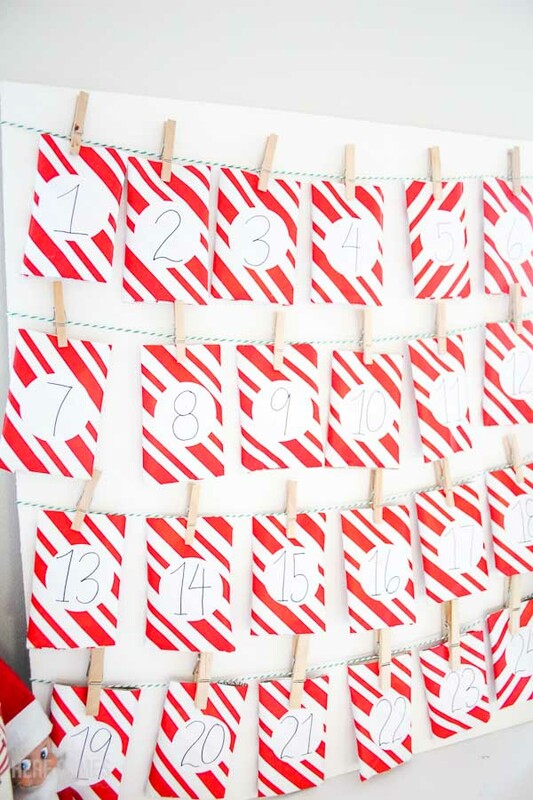 I searched a ton of advent calendar ideas looking for just the right one. 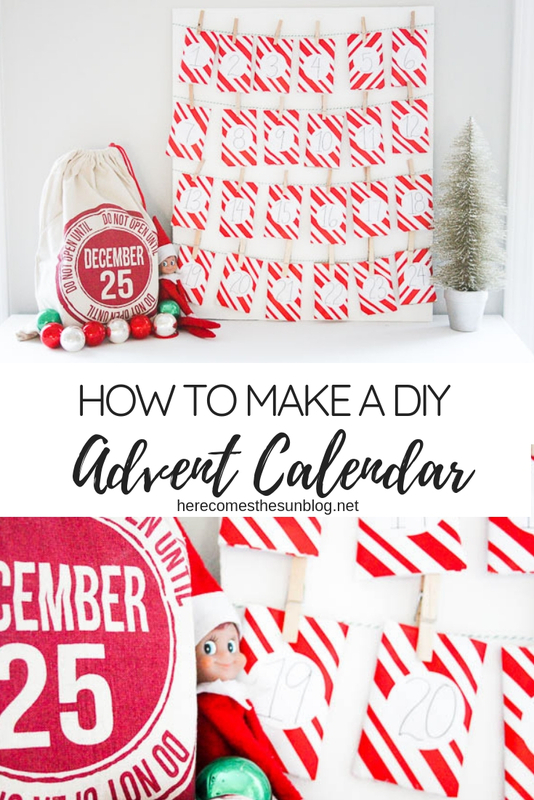 There are so many ways to make a beautiful homemade advent calendar but I needed something simple. This is what I came up with so you can have yours ready by December 1. Gather 24 empty toilet paper rolls. I hoard our empty toilet paper rolls under the bathroom sink for chew toys for our rabbits but they couldn’t go through them fast enough so I had a massive stash perfect for this project. Paper towel rolls work too. Just cut the paper towel rolls down to toilet paper roll size. 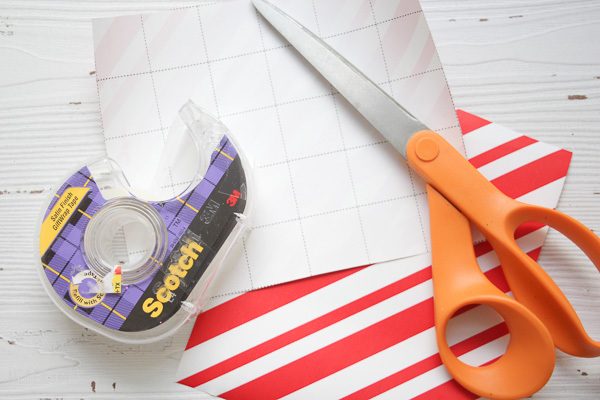 Cut out 24 pieces of wrapping paper. You can use cardstock too. I used wrapping paper because that’s what I had laying around. 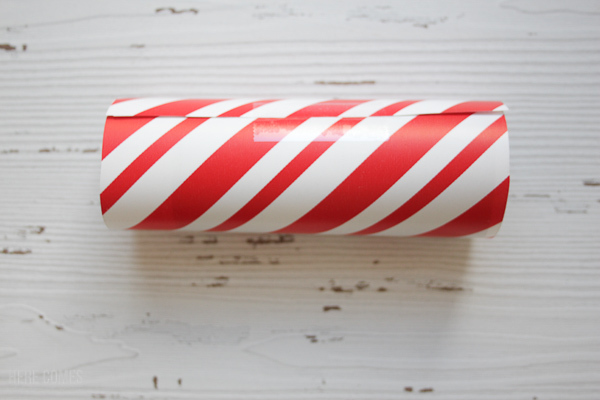 It was hard to decide which wrapping paper design to use but I finally chose a classic candy cane pattern. The back of my wrapping paper has a grid so I was able to cut out pieces that fit perfectly. I cut a 6 square by 4 square piece using the grid. 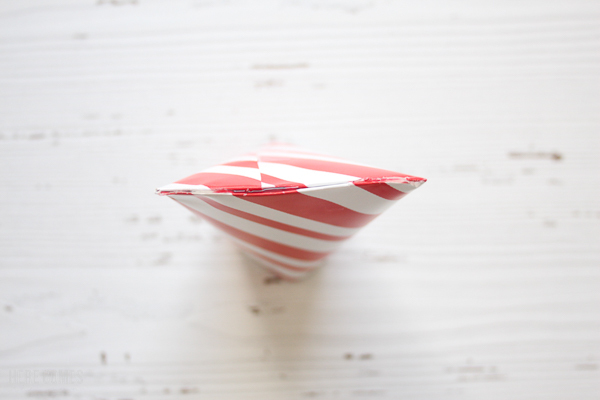 Roll the wrapping paper around each toilet paper roll and secure with tape. Leave a bit of paper (one square worth of the grid) overhanging one end of the roll. Cut notches in the overhanging paper and fold the notches down into the roll. Secure with tape. 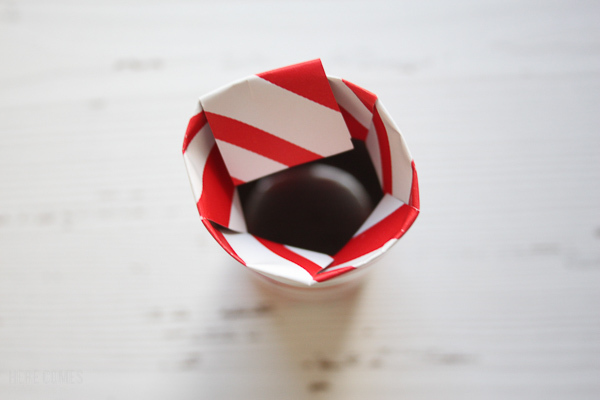 Mash the toilet paper roll flat and glue one end together to form a pouch. The end that you want to glue is the end where you just folded the pieces in. Create 24 labels using a Sharpie and premade labels. You can also use cardstock instead of premade labels and attach with tape. Attach four pieces of bakers twine to the back of a board using hot glue. If you do not have a board, you can use anything that is flat and sturdy. Whatever you use as a backing, make sure that it is big enough to fit 6 rows across and 4 rows down. 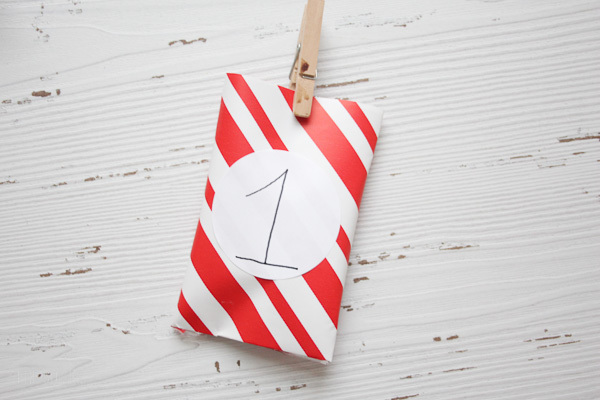 Clip the pouches onto the string and let your kids open one pouch each day till Christmas. 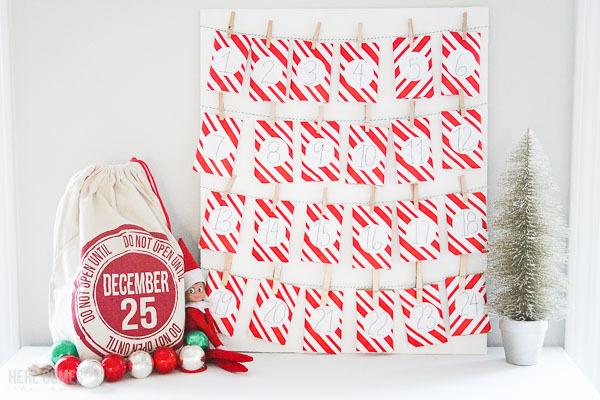 This Christmas advent calendar is light and you don’t need to hang it. You can just prop it up on a table or on your mantle. Our Elf Lollipop even came to check it out.